Josh passed away suddenly February 28, 2016 at the young age of 28. He lost a long standing struggle in his life and our hearts are broken. The world is a sadder place without his presence here in our lives. 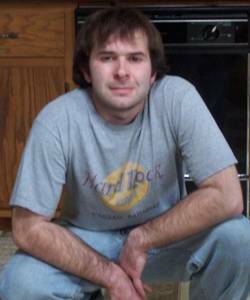 Josh is the beloved son of Diane (Ted) Marquardt and the late Howard P. Smith. Loving brother of Jerry L. (Jenny) Smith, Sheila (Jimmy) Smith-Morrow, the late Tracey D. Eastin and Holly G. (Paul) Fitzpatrick. Dear grandson of Marjorie and the late Mahlon Kastick and the late Sylvia and the late Paul Greenwell. Dear nephew of Susie (the late Jerry) Cheshire, Lulu (Brian) Hanson and Larry McAfee Jr. Joshua is further survived by nieces, nephews and friends. Visitation Saturday, March 5, 2016 at Apostolic Faith Church, 3045 Airline Road, Franksville WI from 11:00 AM until time of the Funeral Service at 1:00 PM.